Posted October 17, 2018 by Jamie Apps & filed under Arts & Entertainment, Events, Kids. Everybody knows markets are a great place to pick up some neat little trinkets and bargain gifts but next weekend they’re set to undertake a spooky transformation to celebrate Halloween. As part of Halloween Week a special haunted house activation will be installed within the Paddy’s percent by The Party People. Not only will this be a fun, if not scary, break from your shopping adventures it will also be a great opportunity to pick up some costumes, decorations, make-up and confectionary for your own Halloween celebrations as every element featured will be available to purchase. 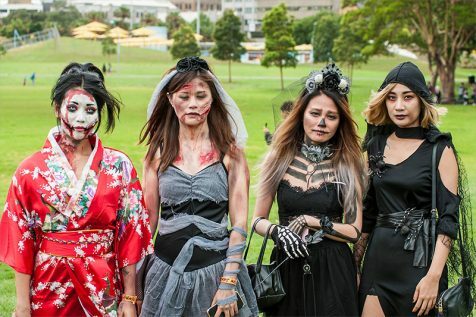 If a haunted house is too spooky for you there will also be a number of other fun events happening throughout the week such as; halloween makeup classes by The Makeup Technicians, A Zombie Walk and Jack o’ Lantern carving classes.